HP unveiled today, its new Premium Spectre series that consists of the Spectre Folio and the Spectre x360 laptop and convertible. The HP Spectre Folio provides a great PC experience as it is a leather convertible PC. HP claims that it has embraced the art of manufacturing, where it combines designed hardware with handcrafted leather and accented stitching. In order to achieve thin and light design, the Spectre Folio incorporates a very small motherboard. It has got 8th Gen Intel Core i7 processor. There is a fanless thermal inside it that leverages unique qualities of leather in order to create a comforting experience when you put it on the lap. Probably will not heat much, as the company claims. 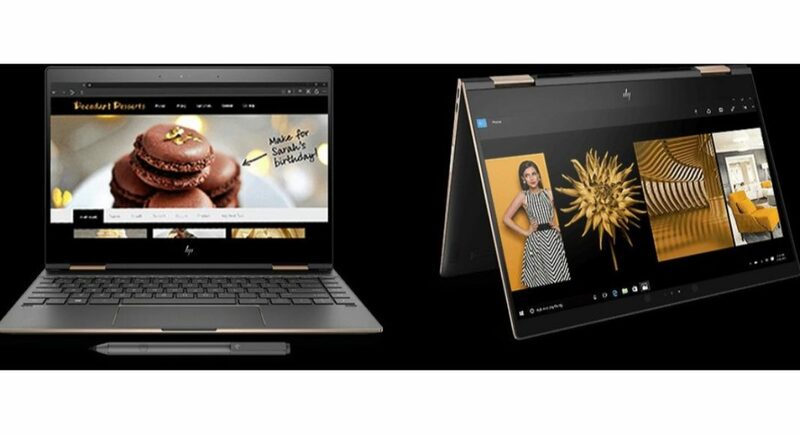 Other features of the HP Spectre Folio include up to 16GB of RAM and 512GB SSD storage. It has got 1W 400-nits FHD display for ideal viewing in any lighting condition. The convertible PC also comes with a touchscreen. The HP Spectre x360 laptop has been designed for an on-the-go lifestyle. In the company’s own words, this has been built for superior design, leading security and enhanced performance. This model features a new-age design that can be achieved with the help of CNC machining. The laptop is powered by the latest quad-core 8th generation Intel Core processors and provides a long-lasting battery life. There is an angled USB-C port that provides better cable management. Also, there is a dual chamfer design for an easier lid lift from three sides. Sound on the device is powered by Bang and Olufsen. The HP Spectre x360 laptop sports an FHD 4K (UHD) display. It is available at a starting price of Rs 1,29,990 in Dark Ash Grey colour. The Poseidon Blue colour option comes at a starting price of Rs 1,39,990. The HP Spectre Folio on the other hand is priced at Rs 1,99,990 which comes in Cognac Brown colour.